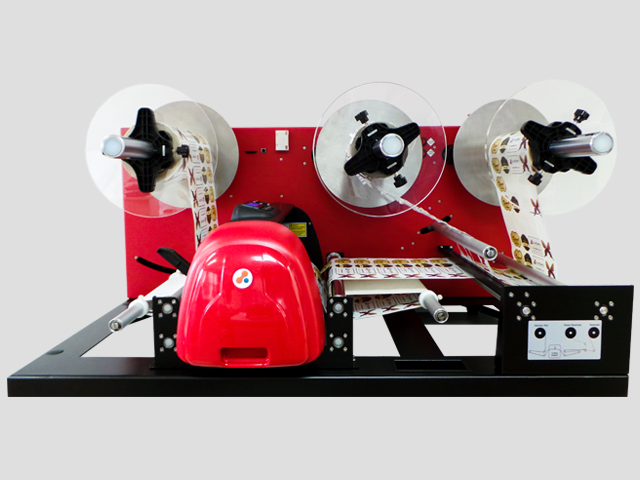 The improved cutting quality, as well as higher reliability and precision, enable the application of the CUT-SG1 Pro label cutter in nearly all professional areas of packaging and label creation. 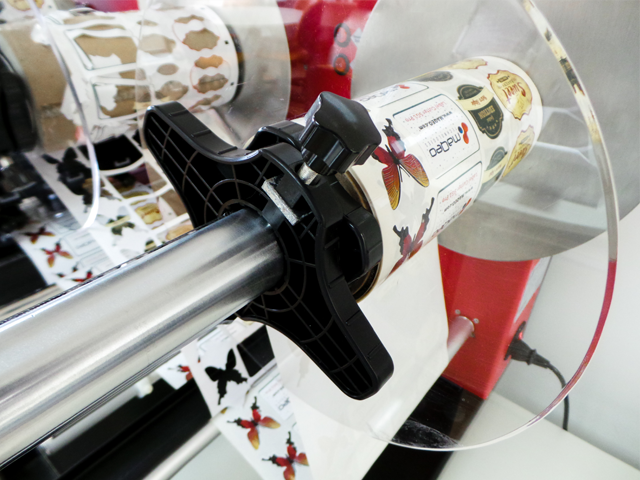 With a cutting width of up to 30.4 cm, the CUT-SG1 Pro label cutter can master extensive orders and high numbers of pieces. 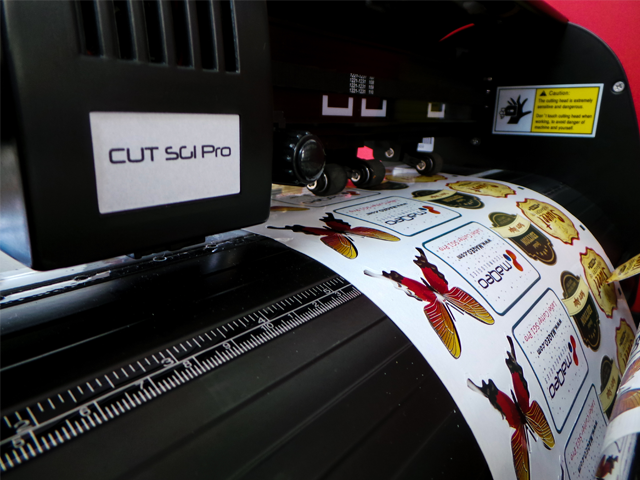 All current materials can be processed with the new CUT-SG1 Pro label cutter, such as adhesive vinyl, self-adhesive foil, flock films, flex films, stencil foil, paper cardboard, etc., in widths of up to 40.6 cm. The large illuminated display, as well as the large buttons, enables easy operation. 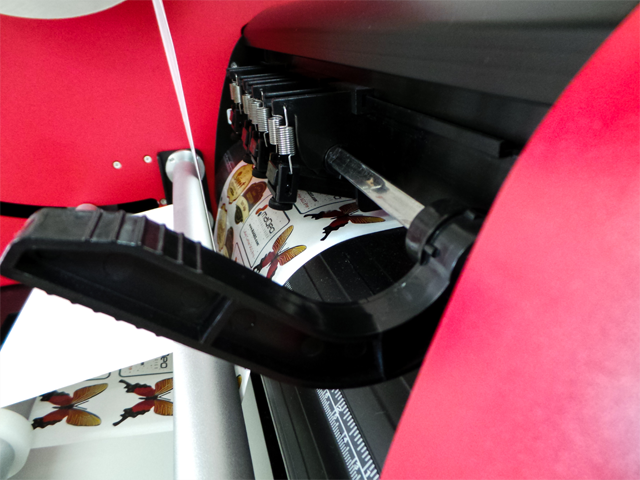 Printed media can be precisely contour-cut to any shape you want, even blank labels for your favorite bar code printer. Suitable for prototyping or short runs. Contour cutting is performed automatically. Servo control system: fast and quiet. SD card reader and direct USB: easy and reliable; stand-alone operation using the card reader. 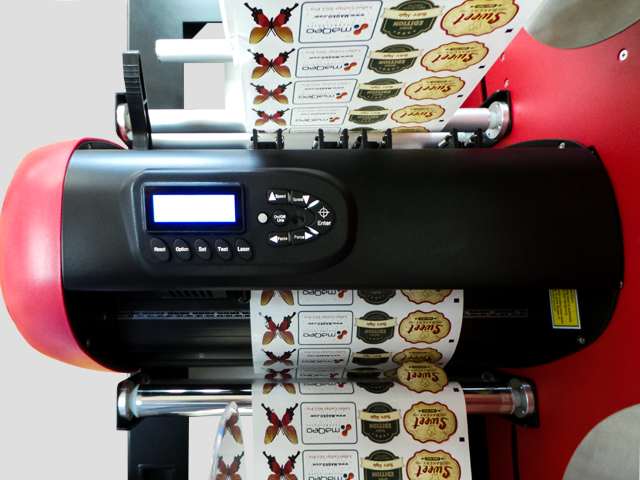 Perfect for low-cost, on-demand, short run labels, specialty labels of any shape. Helps reduce inventory. 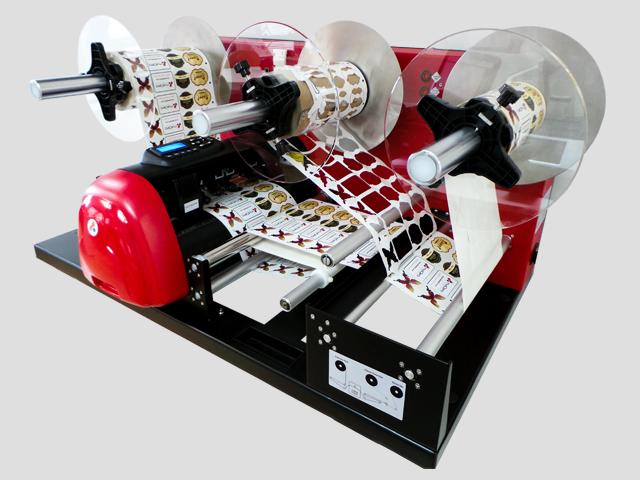 This label cutter can be used with 64 Bit Windows operating Systems. The software is available on both Windows and Mac compatible version. Simple installation, no additional drivers necessary. 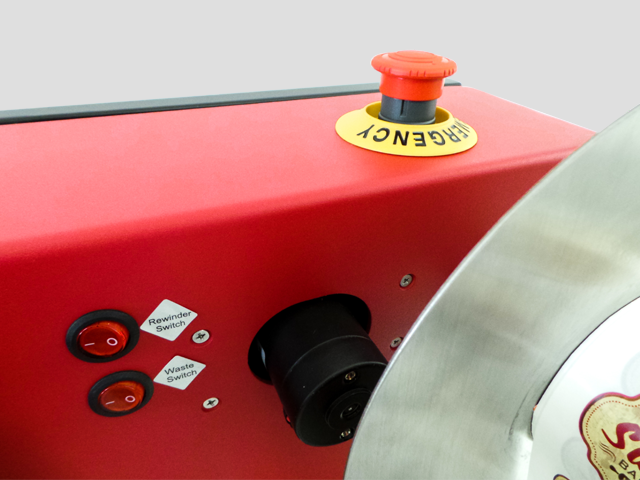 The improved LAPOS allows for faster reading of crop marks for more productive contour cutting. 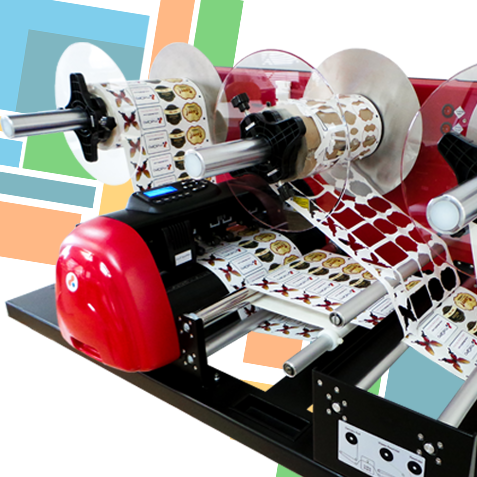 The label cutter uses a USB connection and is very easy to install. Comfortable control panel with illuminated LCD-display and large buttons. 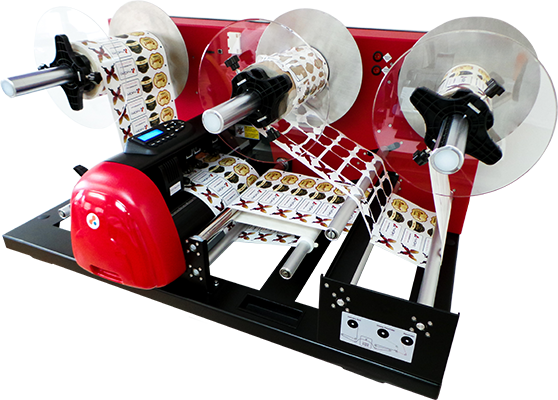 In the package: Label cutter, drag knife / cutting blade ball-bearing blade holder, plotting pen, plotting support sheet, power cable.